It’s almost that time of the year again. Easter is right around the corner. That means it’s time for Easter eggs, chocolate, and having fun with your kids. Speaking of which, you might be wondering about what you can do this year to make your children’s Easter extra special. This is a perfect time to make memories with your kids that they’ll cherish for the rest of their lives. So, let’s take a look at some fun activities that the entire family can enjoy this Easter. Scavenger Hunt: This is a creative, interesting twist on the traditional Easter egg hunt. Instead of leaving eggs for your kids to find, you leave clues to their Easter basket. Each clue they find can also come with a prize such as candy or small toys. This is a lot of fun for kids, and it also encourages them to exercise their problem-solving skills. There are many alternatives to this idea as well, such as a glow in the dark Easter egg hunt or eggs that spell words. Making Crafts: Craft making is where your child can make more fun this holiday. It allows them to express their creativity while also building something they can be proud of. Examples could include Easter baskets, bunny ears, bonnets, and more. If you’re looking for some Easter crafts for kids, be sure to check out TheWorks.co. They have everything you’re looking for at very reasonable prices. Make a Delicious Meal: Of course, Easter is a perfect time for creating delicious snacks. One thing you might consider is making a chocolate fondue. This way, your kids can get their chocolate fix while also eating some healthy fruits. Baking can also be a fun Easter activity. You can get the kids involved by baking some easy dishes like hot cross buns or strawberry shortcake. Jelly Bean Guessing Game: This is a really easy activity that everyone can enjoy. All you have to do is fill a jar full of jelly beans and have everyone guess how many are there in the jar. Whoever gets closest to the correct answer wins the whole jar. Alternatively, you can also have everyone see if they can guess the flavour of every jelly bean they taste. Kids love games where the prize is a tasty treat, so you really can’t go wrong with this one. Read Children’s Books: Another thing you can do is simply curl up on the couch with a few good books. This is an especially great idea if your original plans get cancelled by bad weather. There are numerous children’s books out there that are specifically about Easter, bunnies, and spring in general. Of course, reading has a number of benefits for children, such as improving vocabulary and memorization skills. 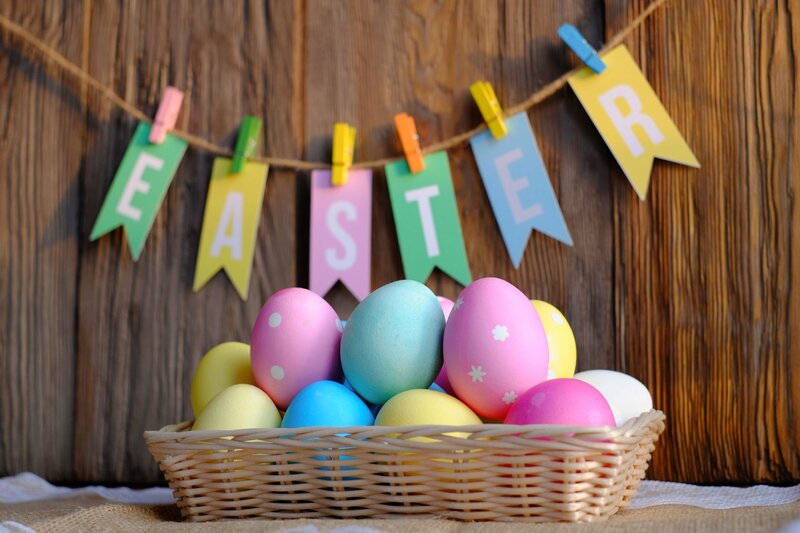 These are a few of the things you can do to make your children’s Easter special this year. Now’s the time to start planning and getting ready. And of course, above all, remember to stay safe and have fun.